Dogtown Chocolate Chip Cookies: A Real Holiday Treat! Though it’s only the second week of November, you’re no doubt already preparing for the holidays. Thanksgiving is only a few short weeks away, and Christmas will undoubtedly be here before we know it! The approach of the holiday season also means something equally as exciting is on its way: holiday treats. There’s nothing quite like the delectable smell of goodies baking in the oven. Whatever your family tradition may be when it comes to holiday treats, we want to be a part of it! Introducing our gourmet Chocolate Chip Cookies! They’re sure to become a hit at your Thanksgiving and Christmas gatherings…and they’ll make things beyond easy for you as the most festive time of year goes into full effect. Pumpkin pie is great and all, but boy—is it overrated. You can’t, however, go wrong with classic chocolate chip cookies. Ooey, gooey and delicious, our cookies are gourmet…all the way! 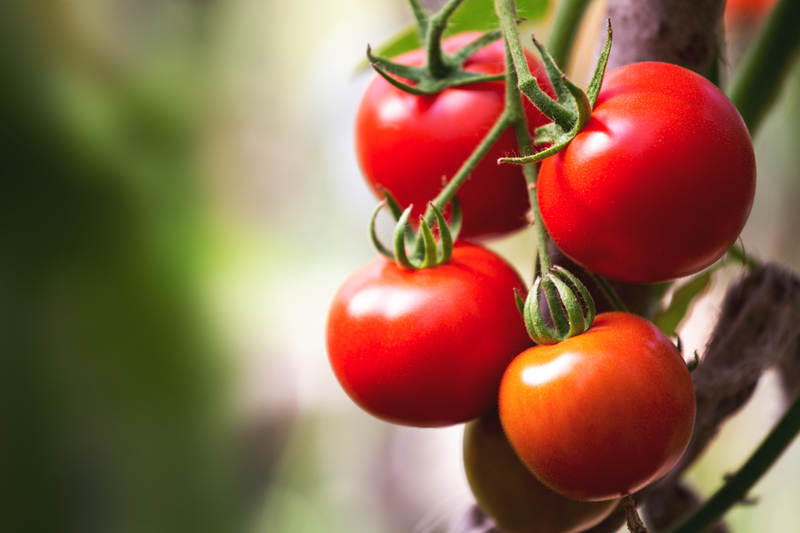 In order to be considered gourmet, the prominent ingredient has to make up 25% of the ingredients. 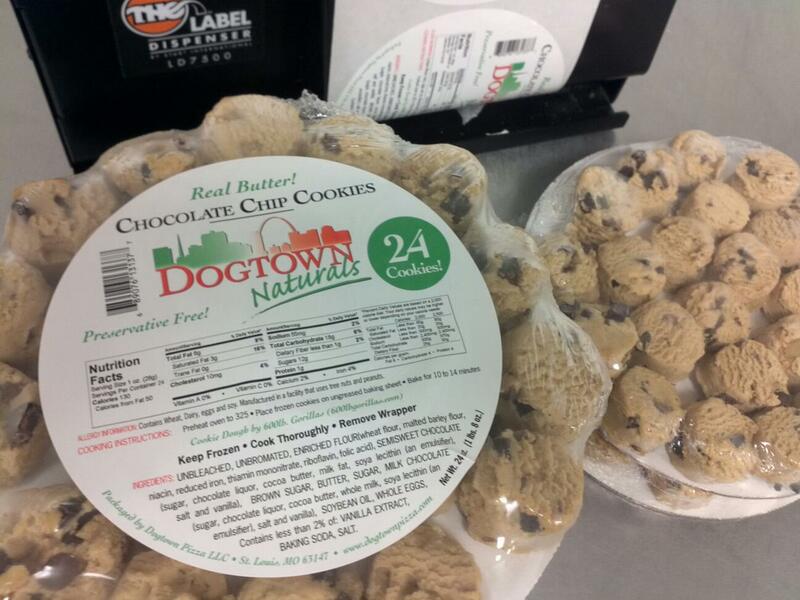 Because we’re sticklers for quality, 25% of Dogtown cookies are the chocolate chips. And they’re not just semi-sweet chocolate chips—we’ve loaded them with rich, luscious milk chocolate chip chunks for optimal mouthwatering yumminess. Additionally, we use REAL butter and REAL sugar in our recipe. When you feast on these cookies, you can feast happily and worry-free knowing that they’re completely free of high fructose corn syrups (HFCS), MSGs, fillers and preservatives. 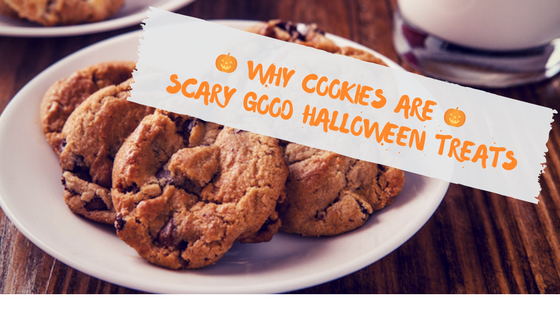 If Grandma didn’t add preservatives in her cookies, we figure that’s a good rule of thumb to bake by. 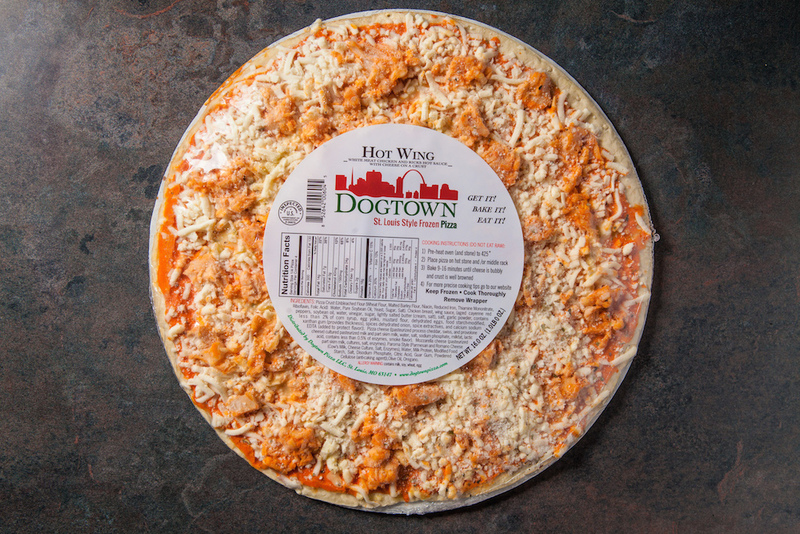 Pop some in after your Dogtown pizza comes out of the oven. After all, the oven is already preheated! Don’t overcook them. It’s always best to pull them from the over one to two minutes early, but allow them to keep baking in the hot pan. The cookie will stay soft and chewy! Buy a couple and keep them on hand for every gathering: Friendsgiving, Thanksgiving, relatives coming to visit, office potlucks, holiday parties, etc. You’ll save time and allow yourself to focus on being with your loved ones! WARNING: Keeping Dogtown pizza cookies in your freezer has been known trigger addictions. They tend to be stolen and eaten raw right out of the freezer. We are not responsible for any charges you may incur from this delicious Dogtown addiction. 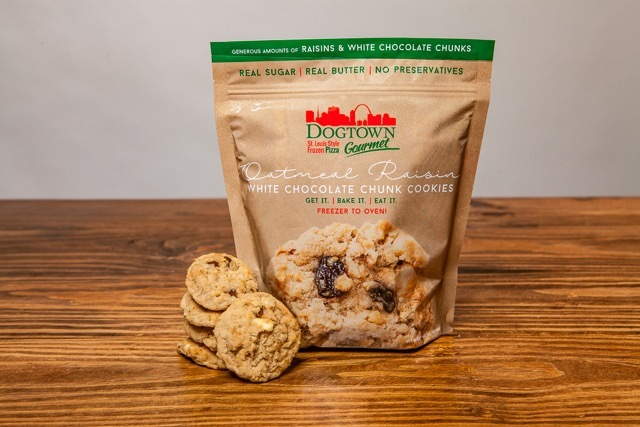 Dogtown Chocolate Chip Cookies are available at every St. Louis grocer where Dogtown Pizza is sold. next post: Resolve to Eat More Pizza in 2016…Seriously!